We’ve been developing some infographics lately for a client of ours. 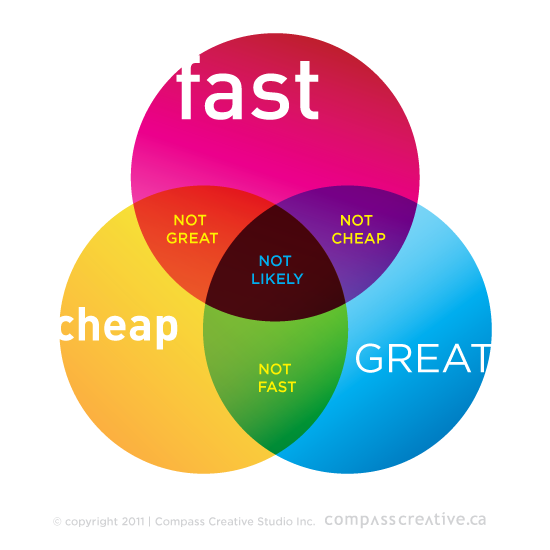 It gave us the idea for this venn diagram explaining the age old design axiom: Price, Speed, Quality. Pick two.